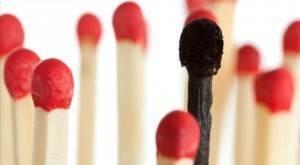 Don’t let Diabetes burnout get to you! Living with Diabetes is hard. It’s a constant rollercoaster of monitoring your diet, exercise, blood sugar measurements and calculating your medication. And you never get a break- it is sort of like a job you hate but can’t quit, and the only reward you get for staying is that nothing bad happens. Even though you know what you have to do and have a treatment plan, all of it can feel overwhelming sometimes. It is very normal to feel overwhelmed and fed up once in a while, but you have to be careful not to go down the slippery slope of Diabetes burnout! Diabetes burnout happens when people with Diabetes tire of managing their disease and just “ignore” it for a period of time (or in worse cases, forever). It is characterized by a person’s disregard for their blood sugar levels, missing doctor appointments, forgetting or avoiding insulin injections or other medications or switching back to unhealthy eating habits. Diabetes burnout is often accompanied by social withdrawal, emotional exhaustion, decline in activity, stress, anxiety, depression or emotional states such as anger, resentment, shame, guilt or helplessness. Diabetes burnout leads to self-destructive behavior that can cause serious medical complications- from fatigue and hypos to neurological damage and even comas and death. Needless to say it is very important to recognize the symptoms of Diabetes burnout in order to act to prevent it. Nobody is perfect– remember that as much as you would love to have your sugar measurements in range 100% of the time, nobody is perfect. Keep your expectations in perspective- good diabetes management does not mean being perfect, and the occasional slip is OK. Keeping that in mind will relieve your stress around your measurements. Accept your feelings– it’s OK to feel frustrated, angry or sad. Don’t hold back on those feelings, it is perfectly normal to feel them or to feel sorry for yourself once in a while. If you try to fight them, it will only make you feel worse. Don’t be afraid to vent to your loved ones or Diabetes educator. That will help you release all the bottled-up emotions. Remind yourself that monitoring your sugar lets you do the things you love– keeping your sugar levels under control makes you feel good, so you can put more energy into doing the things you love- spending an afternoon with friends or family, taking the dog out for a walk, etc. 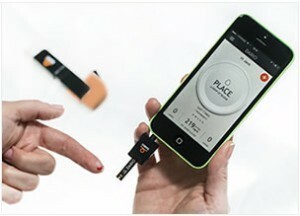 Concentrate on the positive things monitoring your sugar levels lets you do and not the negative aspects. Ask your loved ones to help– explain how you manage your Diabetes, ask for their help in counting carbs, for example, or anything else that might help them be part of what you are going through. Let them know what doesn’t help as well, like buying a lot of junk food. Asking for help is a sign of strength, not weakness. Don’t miss out on your doctor’s appointments– your diabetes care team is there to help you stay motivated. If you are feeling sadness, insomnia, changes in appetite, loss of interest in usual activities, make sure to speak to them about it. People with Diabetes are much more likely to experience clinical depression. If they can’t help you they will point you in the right direction. Celebrate your wins– write down your triumphs over your blood sugar and food temptations; it will help you on your “down” days. Mix up your workouts– it is very important to vary the exercise you are doing so you don’t get bored. Try a new activity; it makes it feel like less of a chore. Even cleaning your house is a physical activity (even though definitely not new!). 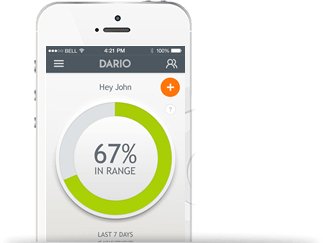 You can record and calculate your exercise (yes, even cleaning) on the Dario app. Attack barriers– Try to think of why you are not taking care of yourself. Don’t feel like going to the gym? Buy a treadmill or go walk in the park with your friend. Look for new recipes– nothing is more exasperating than boring food. Try to seek out new and interesting recipes to spice up your menu. If you start feeling that you are having a bit more than just “a bad day”, try to keep these tips in mind. Diabetes is not just about your blood glucose- stress and other life problems will have an impact on your sugar levels and your health. So it is important to make sure you stay healthy in all areas of your life and keep away from burnout!